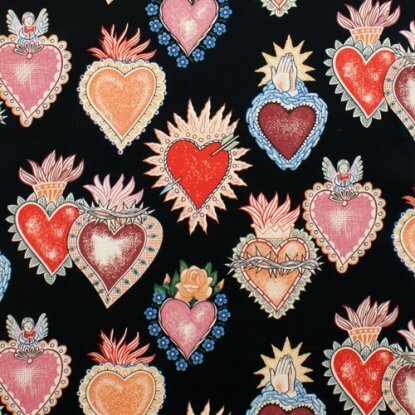 Alma Y Corazon, or "Soul and Heart" by Alexander Henry is a lovely fabric depicting traditional Spanish-style hearts swimming in a pure black background. It is a unique representation of traditional Southwestern style. It additonally ties into the Dia De Muertos festival.